Ticuro Reply is certified as CE medical device. Healthy Reply is an ISO 13485-certified entity. Secure audio and video connection between professionals and people with real time data sharing. Environmental sensors to check the behaviour of older people living alone at home (such as sleeping times, open doors and bathroom usage). Through wireless medical devices, vital signals are checked against a monitoring plan outlined by a doctor. If the readings are outside the defined threshold an alarm is triggered. A system of reminders (e.g. SMS, email) will alert the patient when a specific activity should be performed (e.g. such as when medicine is due, readings reminders and exercise). Ticuro Reply allows the creation of personalised plans (e.g. monitoring, drugs, activities, rehabilitation) from a defined set of information. Ticuro Reply, Healthy Reply’s telemedicine solution – which analyses behaviour and monitors vital signs – provides the technological basis for the “Meno soli sulle Alpi” project. Telemedicine supporting children: a step forward in improving the quality of life. The Ticuro Reply solution supports telemedicine projects which, by means of remote monitoring, facilitate the implementation of continuous care services for children suffering from various diseases. Doctors and health workers are able to obtain more complete data on the health of young patients, gaining a better understanding of their social, physical and psychological condition. By putting in place a structured process of remote monitoring of vital signs, and an accurate coordination of follow-up processes, the little patients are guaranteed continuity of care and a better quality of life. Specifically, Ticuro Reply is able to manage the three main strategic areas for the success of these projects: coordination of care, telemonitoring and telemedicine. Home care with peace of mind: a new care programme for chronic diseases. With the aim of improving the living conditions of people suffering from chronic diseases, Ticuro Reply guarantees effective communication between the services centred around the patient and their care plan. The platform supports innovative clinical and organisational management models for the proper delivery of all out-of-hospital services, based on care solutions tailored to each patient. Continuity of care is guaranteed by the integration of different services, coordinated by the general practitioner together with the GP’s assistants, nurses and staff. Ticuro Reply is able to gather all the medical and health-related information concerning each individual patient, and make it available to all operators securely and in compliance with the law. Patients rely on a specific biomedical sensors Kit to detect the most significant parameters relating to their condition. The same system is also suitable for managing “protected discharge” scenarios, where hospital doctors consider it necessary to impose a significant period of patient “protection”, following the conclusion of the acute phase of the disease managed in the hospital. Improving the quality of life of frail individuals through an advanced telemedicine and telemonitoring platform. inCASA is a project funded by the European Commission that aims to improve the quality of life of elderly dependents and reduce periods of hospitalisation, thanks to an innovative system for monitoring clinical parameters and creating a profile of frail individuals' daily routines. With Ticuro Reply’s contribution, the platform created as part of the inCASA project aims, through the use of technology and the provision of a specific set of services, to extend the period of time during which elderly individuals enjoy a “good life” at home, surrounded by their comforts and their loved ones. This way, by enhancing their independence and minimising the need for hospitalisation, even the frailest individuals can cope with everyday life. This project, developed by the Dolce Social Cooperative, falls within the scope of an innovative individual health and care solution and aims to provide professional, continuous support. Through the various features made available by the Ticuro Reply platform, an EKG execution service was provided at the facility, with remote reporting capabilities for specialised medical staff. Home care and continuity of care designed by Ticuro Reply. Domicare is an extension of the service that brings the quality and technology of the Fornaca Clinic to the patient’s home: continuity of care is guaranteed through a parameter monitoring toolkit made available to the patient and their family. A “warning” reports anomalies and engages the involvement of the doctor. Supported by the Ticuro Reply platform, Fornaca Domicare is the new frontier of private care, and is increasingly more attentive to the needs of the patient after discharge and during illness, or in periods of momentary frailty. This project is implemented on the basis of individual patient needs, who is “never alone” and can be followed and monitored by social workers working for the Municipality, as well as by hospital staff. With Ticuro Reply, a solution has been developed to support physical rehabilitation, aimed at anticipating the reintegration of the patient into their usual environment and based on a greater efficiency of the rehabilitative treatment. The patient’s vital signs can be constantly monitored at home using connected medical devices, so there is no need for a change in lifestyle: the devices measure data of interest, which is sent to Ticuro Reply where the data may be viewed at a control centre, by operators and/or by doctors. The solution, which also includes environmental sensors installed at the residence of frail subjects, analyses the individual's behaviour and recognises potential dangers (falls, nutritional deficiencies, etc.). It then alerts the control centre or the individual’s support network. Patients suffering from chronic diseases (diabetes, heart failure, COPD, etc.) have access to a remote vital signs monitoring kit and follow a care and telemonitoring plan prescribed by the general practitioner. This makes it possible to monitor the patient's health status on an ongoing basis and to react quickly to significant changes, thereby preventing acute care scenarios and reducing health risks. The ability to follow patients remotely, managing chronicity and performing specialised tests, makes it possible to guarantee their health even in areas not easily accessible by traditional health care methods. For example, it is possible to provide special care services to employees working in countries with a lower quality of healthcare services compared to ours, or to offer a widespread service to citizens residing in inaccessible areas, and even to those residing abroad, without engaging international health services, which would divert resources outside Italy. 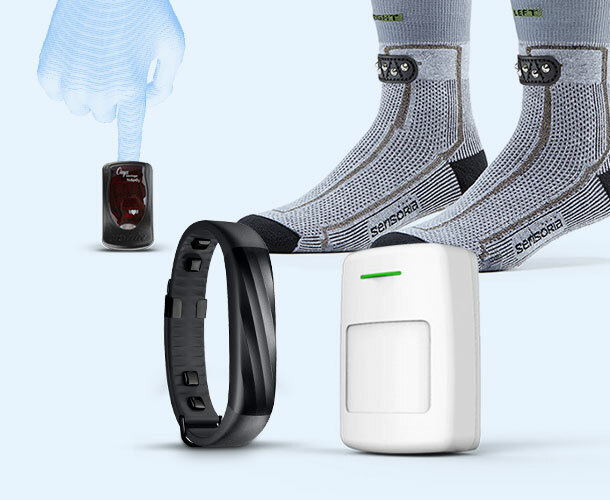 Portable medical devices and wearable sensors collect information on the health and physical activity of the user, even on the move. The data are collected by the platform and determine the individual's “health profile”. If necessary, televisit or teleconsultation sessions can be activated via smartphones and tablets in order to directly interact with a specialist (doctor, trainer, etc. ), who always has the user's data at their disposal. Thanks to the use of home monitoring kits and personalised care plans, the hospital can follow up the patient even after discharge, thereby facilitating the reduction of hospitalisation while continuing to monitor the individual. Monitoring and contact with the patient can also be extended to follow a rehabilitation period, reducing the likelihood of relapse or chronicity. Without the need to visit specialised centres, citizens can access a point of care in typically frequented places (e.g. pharmacy, gym, supermarket) to measure vital signs and undergo medical examinations (blood tests, EKGs, spirometry). The results can be sent to a specialist for an immediate report (at costs comparable to a national health service fee) and even uploaded to a searchable and shareable user folder. 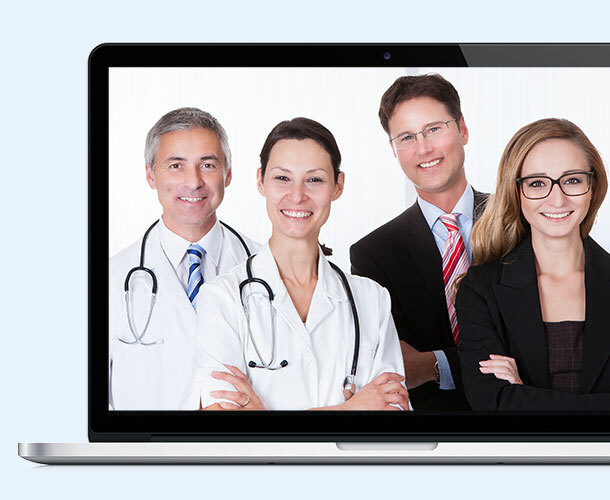 If necessary, televisit sessions with specialists can also be initiated from the point of care. Users can access specific wellness packages created by specialists or trainers, and additional services such as televisits, on-demand doctors, personalised diets, rehabilitation programmes, etc. The aim is to improve both primary and secondary prevention and to enhance the patient’s general quality of life, by providing support on the go in emergencies and maintaining constant control of the individual’s health status. The mobile app supports and encourages the user to carry out planned activities. The ability to benefit from the use of points of care in the workplace helps increase employees’ sensitivity to prevention. Medical data are controlled remotely by an automatic reasoner that alerts the user to any potential problems. All collected parameters are also made available to the employee, who can easily share them with the company doctor, with the primary care physician or with specialists. The point of care can also provide access to televisits with specialists, at a lower cost compared to traditional doctor’s visits, especially with respect to reduced employees travel. Healthy Reply is the Reply Group company specialising in telemedicine, telemonitoring and the continuity of social welfare. To design customised services that can guarantee continuous care and assistance, Healthy Reply collaborates with public and private healthcare institutions and bodies, clinics and hospitals, social and healthcare facilities, insurance companies and banks, convention centres and enterprises.